Foster trust along every point in the patient journey. Building trust with patients and their families begins online. We help healthcare organizations manage the patient journey the right way – with decades of experience and the most innovative solutions in the healthcare industry. Knowing you have the correct basic data like addresses and phone numbers can be hard. Ensuring you have advanced data like keywords and interests can feel nearly impossible. Our Provider Data Warehouse solutions streamline your internal data to present a united front. Integrate data from any internal data source from credentialing to department spreadsheets. We use actual claims data to know what terms best describe what providers actually do so patients find the right doctor the first time. 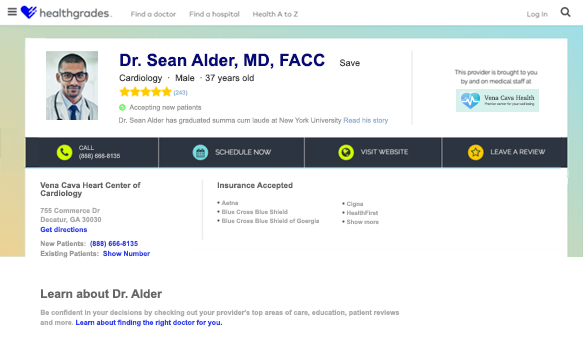 Working with 200 hospitals for over 20 years, we know how patients search. Our partner network helps 100 million users find providers each year. 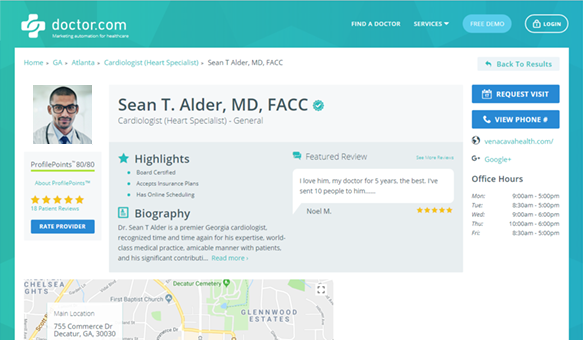 Whether searching for a doctor on your website or perusing third-party sites like Healthgrades and Yelp, patients will always find up-to-date and accurate information. They'll also be able to quickly and easily make an appointment no matter where they are. Flexible, customizable and user-tested directories proven to engage and convert. Make sure your data is accurate and drives conversions everywhere across the web. Why only capture appointments on your site? Our solution allows you to be where your patients are. Online reputation is everything. 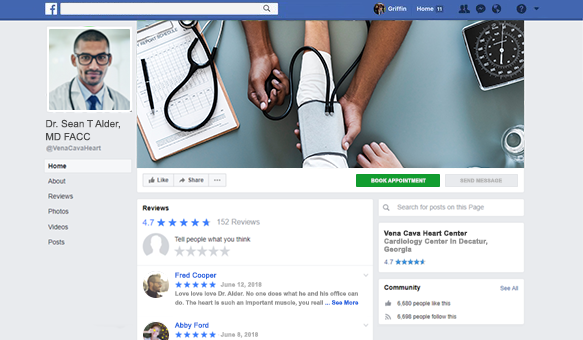 From verified survey data displayed right on provider's profiles to the third-party ratings found all across the web, you can harness the power of the patient voice to learn what matters and continually improve your organization. Make sure you’re building trust by sharing accurate, verified and statistically valid survey data right on your providers’ profiles. Easily watch, respond to, and enhance your reputation across the consumer web, using analytics to improve performance and earn better reviews. 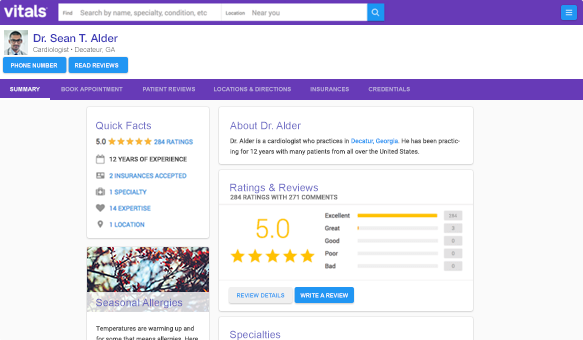 Improve feedback and reputation by capturing reviews at the point of care, text, and email then syndicating that data to third-party ratings sites. 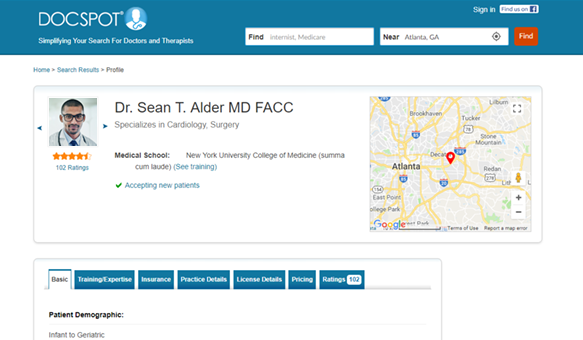 Connect Healthcare is now Doctor.com Enterprise. We have been working with healthcare organizations for over two decades and have a variety of solutions aimed at fostering trust along every point of the patient journey. We are dedicated to helping you succeed, and we have the experience, technology, and drive to back it up. We don’t just sell you software and disappear. Our Client Success Team becomes an extension of your digital team with extensive support and analytics assistance. Thanks for all you do for all of us. After Virginia and I got off the phone with you and the team earlier this week we both said....we wish all of our vendors were that willing to work with us. Thank you for going above and beyond to make this project a success for us.